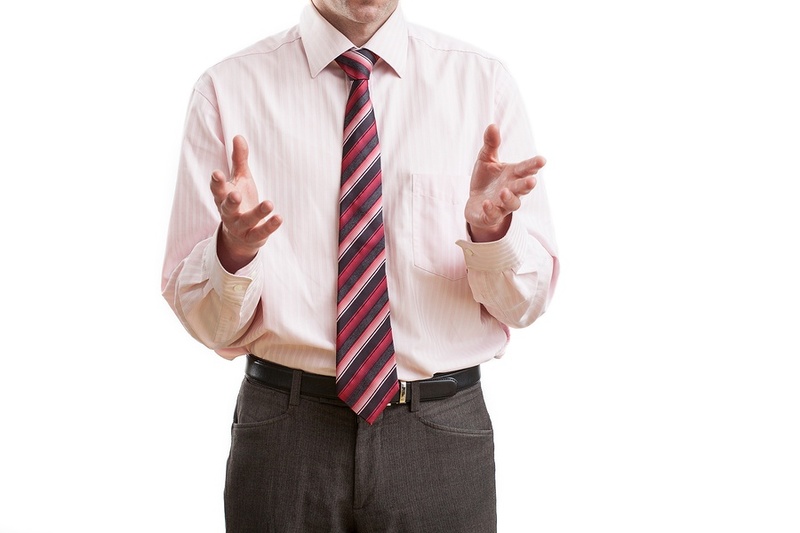 There is a good reason why body language plays a key role in every sales meeting. Your interaction with prospects is so much more than the words you say or comments you hear. Nonverbal communication affects how your customers perceive you. It’s a powerful tool that can help you connect with potential buyers, properly express yourself and build trust. Your nonverbal signals (gestures, eye contact, facial expressions, posture, tone of voice) broadcast your true intentions and reflect your state of mind and confidence level. In preparation for meetings, most sales professionals spend a lot of time practicing their speech and polishing their presentations. Sadly, they don’t always spend enough time working on their body language. Here is one simple fact to keep in mind: prospects are more likely to buy from sales professionals who know how to use nonverbal communication to their advantage and project a confident body language. This article will help you cultivate effective nonverbal behaviors that win more sales and lead to successful professional relationships. Power pose is one of the most important elements of body language. When you assume a high power pose and stand tall with your shoulders pulled back or sit up straight with your feet firmly on the ground, you are more likely to make an impact and drive the point home. Don’t make yourself look smaller by slouching in your chair, bowing your head, hunching your shoulders or leaning sideways. And don’t alienate your customers by crossing your arms on your chest. By the way, did you know that scratching your head is a dead giveaway that you have serious doubts about your own statements? Low power poses make you look defensive, timid and insecure. Your prospects will sure take notice of that. Strike a power pose to radiate more confidence, energy and authority. Remember, your posture reflects how powerful you feel. Leave your counterpart with the impression that they are dealing with a true professional, who has a successful track record and knows the value of his/her offerings. Show genuine interest by slightly leaning in towards your customer. If you can, position yourself so that your feet are pointing at the buyer. The way you look, react and move tells your buyers whether or not you care, if you are being honest, and how well you are listening to their story. These subtle nonverbal signals can make a difference and help you connect with your listeners on a deeper level. Customers want to deal with warm and friendly sales professionals who are sincere, respectful and easy to work with. Also, they want to do business with individuals who possess an upbeat attitude and a positive perspective on life. If your facial expression conveys anger, stress or discontent, your prospect may walk away and never come back, no matter how phenomenal your products are. If something is bugging you and you find yourself in a lousy mood, your prospects don’t have to know about it. Leave your troubles at the doorstep. Lighten up and break the ice with a warm and genuine smile and a steady handshake. Maintain eye contact throughout your conversation and carefully gauge the other person’s interest. Just make sure you don’t go overboard by smiling incessantly or engaging in a staring contest with the buyer. No matter how eager you are to convince your listener, try to reign in your enthusiasm. When you appear relaxed and contained, you look more powerful and in control. And that’s the type of person your prospects want to deal with. While it is important to pay attention to your body language, you should also develop the ability to read the body language of others and act accordingly. Can you decipher your customers’ true intentions just by watching them? Can you read between the lines? And can you figure out the true meaning of their words, comments or jokes? If the customer sits back and folds her arms across her chest, she may be unconvinced of your ability to address their problems. What if the customer looks bored? Can you measure their interest based on the tone of their voice, gestures or movements? Simply put, if you become a skilled reader of nonverbal cues, you increase your chances of sales success. In addition, you may demonstrate that you are on the same page with your prospects and agree with their statements by mirroring their movements. It doesn’t mean that each time your prospect crosses his legs or shifts in his seat, you should do exactly the same. Just watch their body language and try to copy some gestures or movements over the course of your sales encounter. A little bit of that can go a long way and help you increase your likeability factor. Bottomline: Regardless of how well-spoken or charming you are (which is important), you should always pay attention to your body language and be aware of what it says about your level of competence, credibility and intentions. The nonverbal signals you project to the world send strong messages and point to a particular state of mind. Your body language impacts the way customers see you and help them form opinions about your skills, your products/services and your organization. If you are determined to become a better communicator and lift up your sales career, you should constantly work on your body language and learn how to decode and make sense of your customers’ nonverbal messages, signals and cues.